Get Your Law Degree a Year Early! I never knew how true the saying “time flies” was until now. A lot has happened this year, more specifically, this semester. As a Freshman, here at the University of Louisville, I am far from an expert when it comes to being a college student. I can remember back to the first time I stepped foot on campus, on a field trip that felt more like a free day out than anything. I did not know just how amazing this community is or how it would impact my life in the most dramatic ways possible. I remember applying to the University and having no doubt in mind that I would get in. I remember getting accepted and watching my mother cry as we danced barefoot on our warm porch. I remember making my final decision to attend the University of Louisville, signing my academic scholarship contracts. I remember finishing off my senior year of high school, walking across the stage to receive my diploma. I remember Freshman Orientation and bonding with the girl I now call my best friend. I remember counting down the days until move-in day. I remember meeting my roommate and speaking about how this is the first time the both of us will have been on our own. I remember the first day of classes, the first week, the third week being the week I hurriedly drove home to hug my mother. I remember my first paper, first exam, first mental breakdown, first missed class, first study session, first perfect score, first brush-teeth-run-out-the-door-because-I-overslept-for-class. I remember attending meetings and feeling like an adult, being so busy that I forgot to eat, staying up until 5am to type my first 15-page paper. I remember computer-problems, last minute editing, five-minutes-to-print-a-paper-and-rush-to-class. I remember watching Netflix with my dorm mates and Residence Assistances. I remember the 1am Waffle House runs. Lastly, I remember finding a home, here at the University of Louisville. I know a lot more has happened, and with barely a week left, more is bound to happen. So, this is the part where I give some advice. First and foremost, prioritize. I, for one, need to work on this. With finals in our midst, this is not the time to slack. I know that I can tell you to prioritize, to ace the last exam, to finish the semester off strong, but ultimately, it comes down to you. So, realize that this experience is all yours. Whether you are a freshman-to-be and are picking your grades up before the break, or if, like me, you are a freshman who needs to keep pushing or even a senior who needs one more semester in order to get the 8am’s out of the way. Whatever your case may be, realize that this experience is yours to craft. With the Winter Break quickly approaching, I ask you to momentarily put down the work, cast aside the stress that this semester may have left you with, and make time for the people and things you love. It has been a pleasure sharing my experiences with you all this semester. REMEMBER: Just a reminder that not all positive changes feel positive in the beginning but at the University of Louisville, you will be just fine! My journey of "firsts" began with a campus tour. 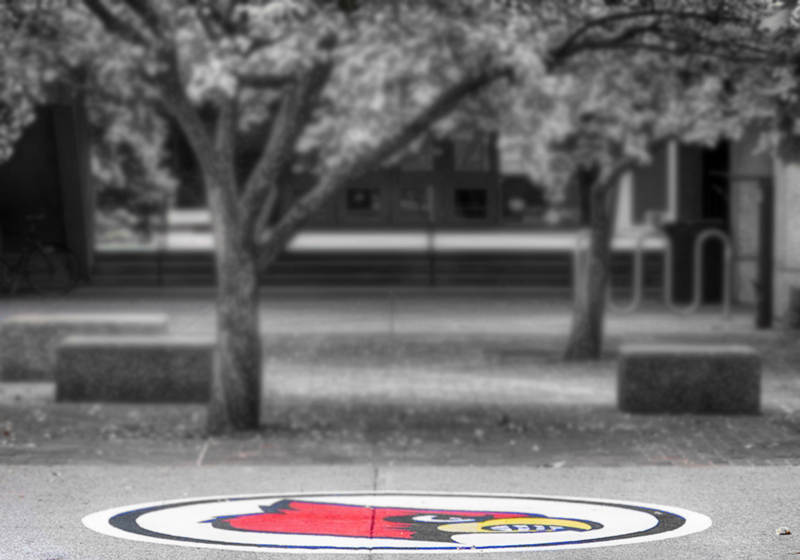 Schedule a visit to start your journey at UofL!